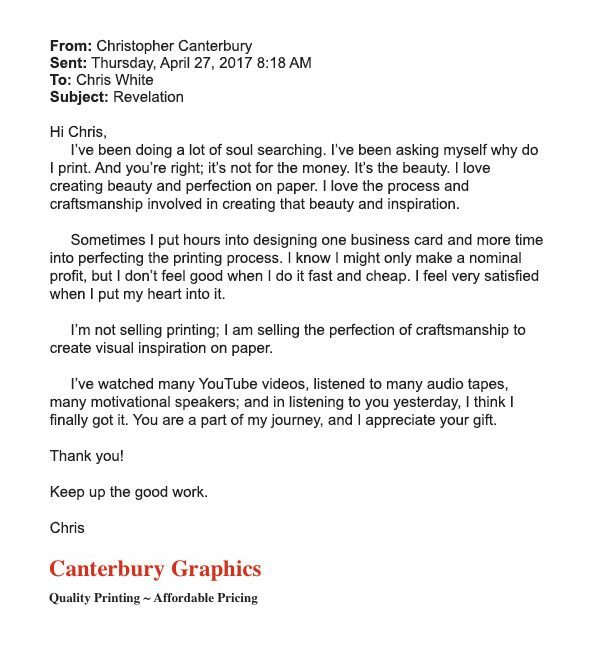 Chris’s experience is what we expect for our clients – and what we deliver — which is why we offer new clients a money-back guarantee. From coast to coast and around the world, business owners, executives, leaders and sales managers are singing the praises of their Growth Coach. Take a look at what a few of them have had to say. “I work for a small company and I make up half of the sales force. I decided I wanted formal sales training to hone my craft. After a quick google search, I found Mike at The Growth Coach. I took his Sales Mastery course and I was very pleased. The class was small and intimate. The lessons relevant to all businesses and the homework beneficial to my personal and professional growth. I experienced a surge in business last year and I am sure that it was in part due to my confidence that I developed in class. My favorite part of the course was the personal 1-on-1 training and Mike’s encouragement throughout the course. There aren’t many sales training/life coaches that are going to give you the personal time and attention that Mike does – it makes his fee a bargain.